You talk about Colleen that way again, I will break you. Davos: Because when I tried to get you to return, all I saw was cowardice and a Hand whore! Danny: You talk about Colleen that way again, I will break you. 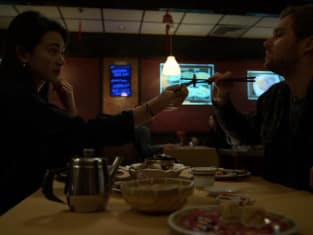 Iron Fist Season 2 Episode 1: "The Fury of Iron Fist"
Permalink: You talk about Colleen that way again, I will break you. Colleen: I kind of like that you don't know who SpongeBob is. Danny: He's a sponge named Bob. Permalink: He's a sponge named Bob.